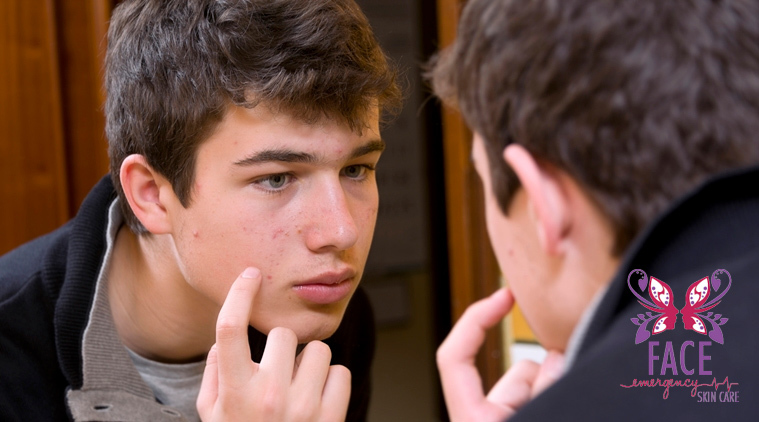 Acne is much more than a skin disorder – it can also have debilitating psychological and social effects on teenagers who suffer from it – preventing them from becoming confident and well-adjusted young adults. While there are a variety of ways in which one can combat their skin problem—from daily face care, careful changes in diet, and being aware of what toxins you put in and on your body—taking your teen for regular facials can help ease the anxiety that comes with their physical and psychological transformation. Everyone remembers the anxiety and discomfort they felt when they had a bad skin breakout. Puberty is an awkward enough time as is – teens are forced to navigate the minefield of adolescence that leads them into adulthood. From developing social skills and becoming more responsible – to finding out what paths they want to take after school – having acne only adds to the pre-existing emotional distress that is part of a teenager’s life. Facials can be fantastic forms of acne treatment and can aid in the prevention of superficial acne scars—but these are just some of the benefits. Why are facials great for your teen’s acne treatment? Skincare professionals cleanse the face properly before a facial and then provide an in-depth skin analysis with the help of magnifying instruments. Everyone’s skin is different and requires unique care. If your teen is suffering from acne, it is crucially important for their own mental and physical wellbeing that parents get them the acne treatment they need by visiting a reputable and licensed skincare professional to help them beat their skincare emergency. Face Emergency SkinCare has a range of services from facials that can be used as acne treatments for your teen as well as peels to help diminish any scarring that may have been left behind by anyone who has suffered from acne in the past. Be aware of the toxins you put on your body, particularly with chemicals in makeup that can clog the pores thereby exacerbating the problem.